We’re on holiday in Ottawa with the Baberoo for nearly three weeks, and besides visiting with all our relatives and friends we’ve also been trying to get around town as much as possible. Since I can’t review any Oxford locations at the moment, I figured I could still write a quick guide to Ottawa. I grew up here and visit about once a year, but I’ve never done it with a baby carriage before, and I was in for a few surprises! These are shorter reviews with fewer pictures (and sometimes none, since I forgot my camera once or twice! ), so I’m not employing my full rating system here, but I hope they’re helpful to parents living in or visiting the city. My first venture out with the Baberoo was to the Ottawa Farmers’ Market at Brewer Park on a Sunday morning. (I also went to the Main Farmers’ Market Ottawa on a Saturday morning and we went to the Marché Vieux Hull on a Thursday.) The markets are a favourite of parents with strollers and there are lots of babies everywhere. The one at Brewer Park is right near a playground and community garden, and there’s also a pool and community centre nearby so you may be able to use the baby-changing facilities there. Brewer Park is also the biggest market, with over 100 vendors. I had a sausage on a bun and a lemonade while I was there, both very enjoyable. I’d highly recommend all of the Farmers’ Markets as a lovely place to go in Ottawa. It doesn’t feel like a trip back home until I’ve been to the Byward Market, so we headed out there as soon as we could and had lunch at an old favourite, the Blue Cactus Bar and Grill. I was nonplussed to see that they’ve changed their menu to become more contemporary, so some of my favourite classic Tex-Mex dishes were gone. I got a trio of mini tacos (shrimp, Szechuan beef, and curry chicken) which were fine, but in retrospect I’d rather have had a chimichanga like the one my husband ordered. I did, however, enjoy my massive virgin daiquiri. The menu has various things you can order to eat one-handed if you are holding a baby, and the baby-changing facilities are fine, and presentably clean. 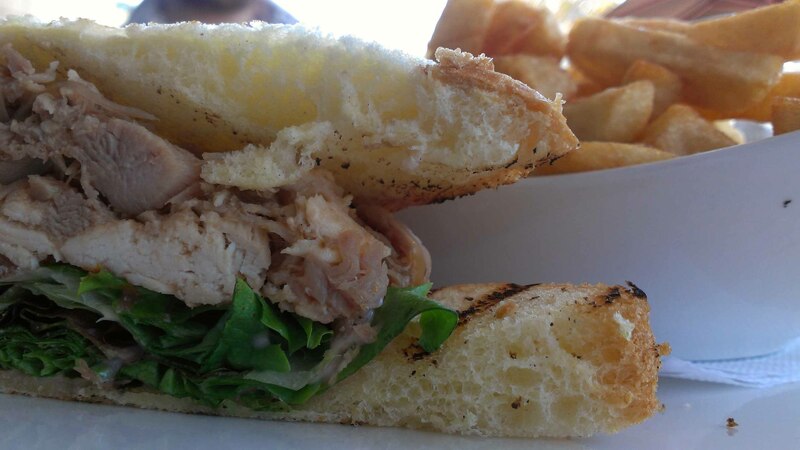 Our next outing was lunch at the Urban Pear in the Glebe (151 2nd Avenue, Unit C). We’d been before but hadn’t returned for a while, and I’m happy to say that the food was still fabulous and we also received great service. I ordered the fried chicken on waffles and it was yummy, although a bit salty (I mentioned this to our server and got a fantastic and immediate response from the kitchen). My husband’s burger was well-flavoured and cooked to his specifications. The menu doesn’t have many items that can be eaten one-handed with a baby in your arms, but we took turns holding the Baberoo. The toilets, while very pretty, don’t have baby-changing facilities, but there would be ample room for changing on the floor if you had a mat. Another Glebe location we tried was Za Za Za (915 Bank Street, K1S 3W5), at which we enjoyed wood-fired pizzas with unique combinations of toppings. 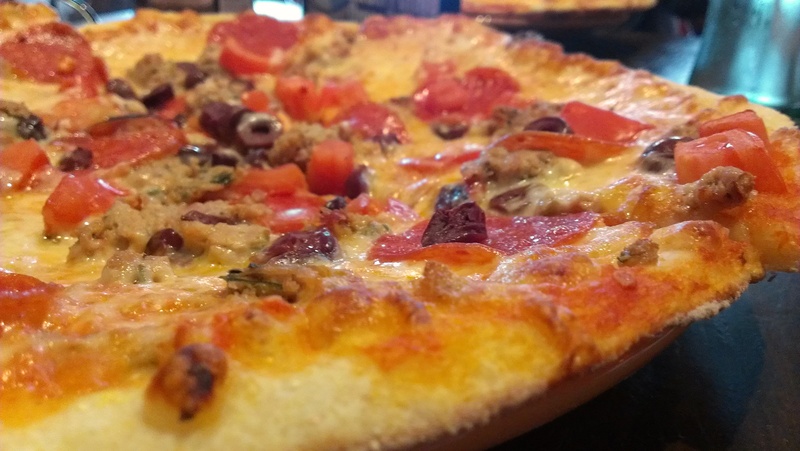 Mine was the Lover’s Leap – one of the less wacky combinations, with mozzarella, black olives, pepperoni, tomato, and hot Italian sausage – and it had a perfectly-charred crust as I would expect from any good thin-crust pizza. If you’re up for a crazier pizza, try the Scary Roommate, which boasts both Kraft Dinner and hot dogs as toppings. We had a great time and I’d go back to try other combinations. The pizza was already cut into slices, which made it as baby-friendly as it was going to get, but there were no baby-changing facilities and the bathrooms were too small to consider a floor change. We wanted to visit the Canadian Museum of Civilization for the last time before it becomes the Museum of Canadian History, so we headed over to Gatineau and started off with lunch at the museum’s own Bistro Boréal (100 Laurier Street, Gatineau). I had the duck club sandwich, which was pleasingly un-fatty, and my husband chose the bison burger, which he said was very good. We sat out on the terrace with the sleeping Baberoo and watched the people go by. There were a few items on the menu that would have been fine to eat one-handed. There are no bathrooms within the restaurant since the museum’s bathrooms are right near the entrance; these have baby-changing facilities, as do the bathrooms on all floors of the museum. We used the facilities and they were clean and fresh, with ample space for a baby carriage. I also received many friendly looks from both patrons and staff while I was breastfeeding the Baberoo on one of the many benches available in the non-exhibit areas. As for the museum itself, I really enjoyed the ‘Double Take: Portraits of Intriguing Canadians’ exhibition, which reminded me what a diverse and interesting country I come from. 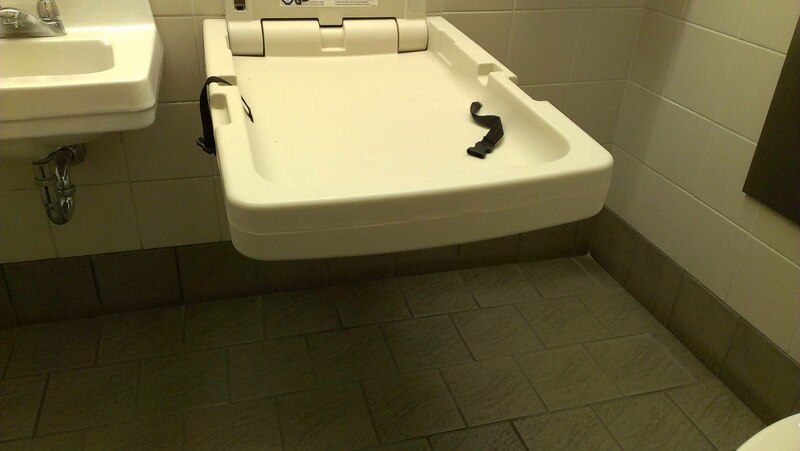 I’ve also had some good advice about baby-changing facilities from a friend who has seen his two nephews through babyhood and who has tried out many a place in downtown Ottawa. Apparently the best baby-changing facilities are at 240 Sparks, where they are built in rather than a pull-down table. 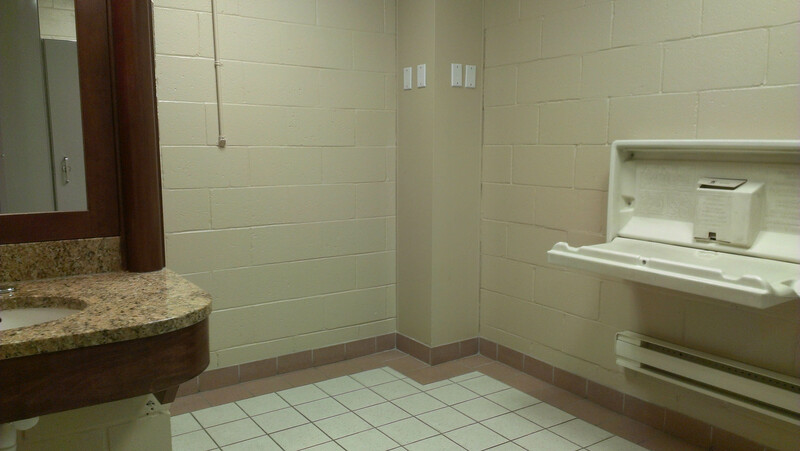 He also recommends the facilities at the Château Laurier. The same friend suggested the baby-changing facilities at Fifth Avenue Court when we were in the Glebe, and they turned out to be great. I’m sure they are little-known; hardly anyone goes into the inside of Fifth Avenue Court since all the shops also have entrances from the street, but there are good bathrooms if you need one and the baby-changing table is clean and seems very little-travelled. Part 2 to follow after we explore some more venues this week!